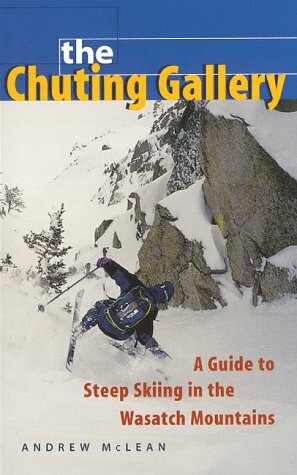 Also known as the Wasatch Steep Skiing Bible, the Chuting Gallery by Andrew McLean is a must have resource for aspiring and accomplished adventurers. The author’s irreverent wit will guide you through the gnarliest terrain in the Wasatch Mountain, predominantly around the Salt Lake area. Bring some fitness, avalanche training, and requisite gear to enjoy the best that the Wasatch has to offer. 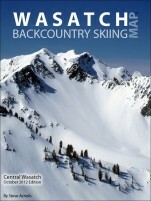 This is a great wish list for the aspiring ski mountaineer in the SLC area. It bears all the hallmark's of Andrew's writing and personal style: wry, witty, irreverent, informative, informed, and properly disclaimed. Many of these routes would probably hand you your a$$, but for most of those I'll never know. For the rest it's a great guide to the lines which hang down LCC and other readily accessible parts of the Wasatch, and the stuff from which dreams (or nightmares) are made of.